Computer reading glasses, cheap eyeglasses online and more. I admit it: Finding low power reading glasses can be a challenge. Using the information on this page, however, you can get the glasses you need to help alleviate your computer vision syndrome symptoms, dry eyes and other eye stain problems. If your eye doctor has recommended low power reading glasses or you’ve decided on your own that they’re what you need to solve your tired eyes, the next thing you have to do is find some. You may have already found out that your local drugstore or discount store doesn’t have what you need. Bricks-and-mortar stores seem to only stock reading glasses for people who need strong magnification. Few companies make lower-power readers, so few stores bother to track them down and stock them. Here’s some information for you — including the most important information of all: how to find what you need. What Are Low Power Reading Glasses? If you’re just starting to experience problems seeing things close up or you’re having a problem with eye strain when you spend long hours doing tasks like reading or using a computer, you probably need some low power readers. These are just like the reading glasses sold at drugstores and bookstores, but they’re not as strong. At the stores in your area, you probably won’t find anything available with a magnification less than +1.50 diopters. In some stores, you can get +1.25 readers, and a few even stock +1.00 reading glasses. If you need +0.25, +0.50 or +0.75 diopter reading glasses, however, you have two choices. You can order them online from one of the very few companies that sell them or you can have them made. When I try online searches, for example, the results often lead to a frustrating array of links for reading glasses that don’t fit the bill. Have you found the same thing? Until I have a good source for ready-made reading glasses to recommend to you, your best option is to have what you need custom made. The prices online are very reasonable, and ordering is very easy. Plus, you can choose whatever style of frames you want and customize other things about the glasses too. Just like any glasses, low power readers can be made to order. A prescription is not required. You don’t have to go to the mall or a local department store to order your glasses, however. No matter what kind of glasses you and your family need, you’ll find a better price online than you will at any store in your area. In the case of low power reading glasses, the price you pay for having them made is about the same as what you’d pay to buy a high-quality pair off the rack anyway. I recommend Zenni Optical for custom eyewear. The company’s products are of the highest quality and here’s what’s even better: a complete pair of glasses is available for just $6.95. No one can beat that deal for professionally made glasses delivered to your home. Even if you don’t have a written prescription, that’s okay. Simply put in your required magnification — for me that’s +0.50 diopters — in the “sphere” column, usually the first column on the form. 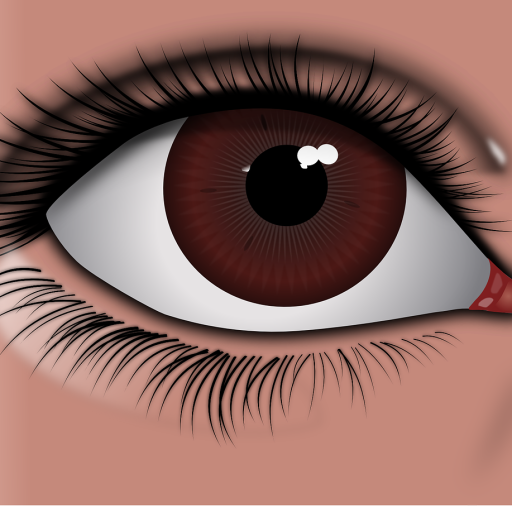 The online order form also requires your PD, the distance between the centers of your pupils. This isn’t important for reading glasses, so just enter 63, the most common distance, if you don’t know your number. Confused about how to order? Don’t worry. I’ve created a Zenni Optical review page with simple ordering instructions. Whatever path you take to get the glasses you need, do something right away. Every moment you delay is another moment you won’t feel your best or see your best. And it means another day of not getting as much done as you’d like. The help you need to see better and feel better is worth a few hassles, but I think you’ll be pleasantly surprised how easy it is to get the low power reading glasses you need. As creator of this site, I help people solve their problems with dry eyes and computer vision syndrome. After evaluating many sources of cheap eyeglasses online, Clear Your Eyes recommends Zenni Optical for your custom-made computer reading glasses and low power reading glasses. Many styles are priced at just $6.95, and we strongly recommend adding the anti-glare coating for a bit more. Choose your power (+0.50 or +0.75, for example) in the sphere column for each eye, then put zeros in all other columns if you don't have a prescription. If you don't know your PD, enter 63. You can even upload a photo to see how each style will look on you. Very accurate. Shop up front low prices on prescription glasses at ZenniOptical.com. Frames starting at just $6.95. Click here! Disclosure: Clear Your Eyes is a participant in the Amazon Services LLC Associates Program, an affiliate advertising program designed to provide a means for sites to earn advertising fees by advertising and linking to amazon.com and related sites. Clear Your Eyes also participates in and links to other affiliate programs and advertising programs. When you click a link on this page or make a purchase after clicking a link, we may make some money.